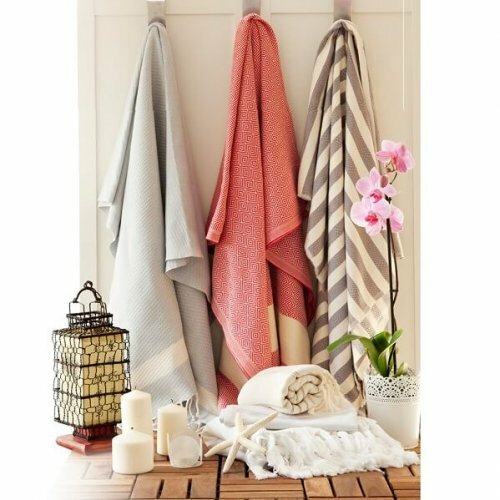 Finesse Bamboo Turkish hammam towels are the lightest of their kind. 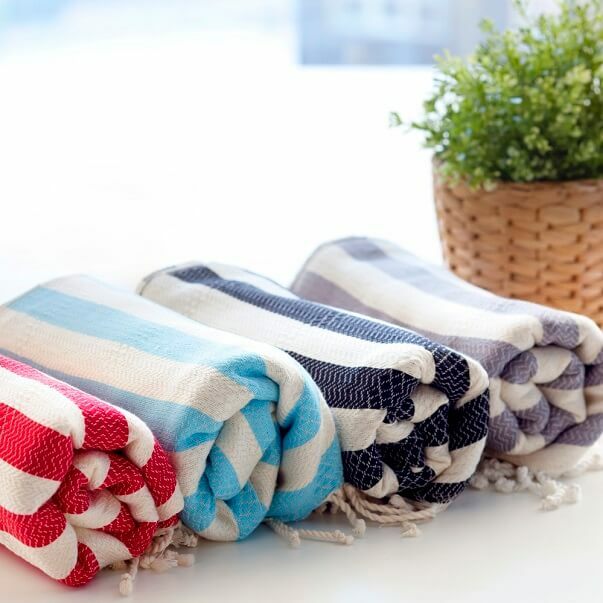 They are perfectly lightweight and versatile travel towels. 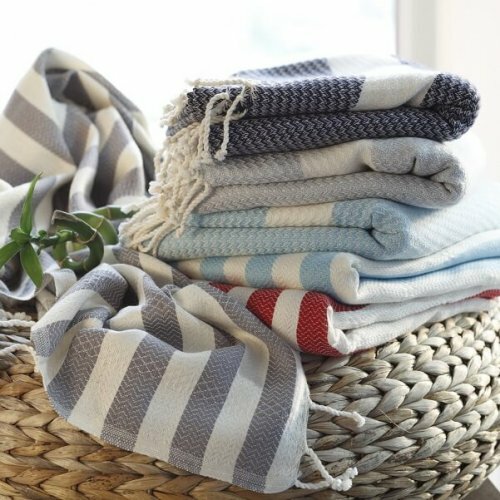 Beautifully hand-loomed, they are ultra soft and surpassingly absorbent. 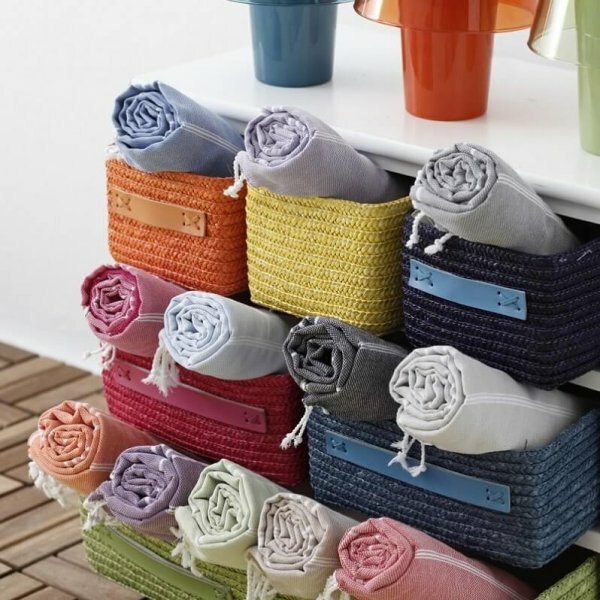 You will be surprised by their compactness and easy to pack & carry qualities. 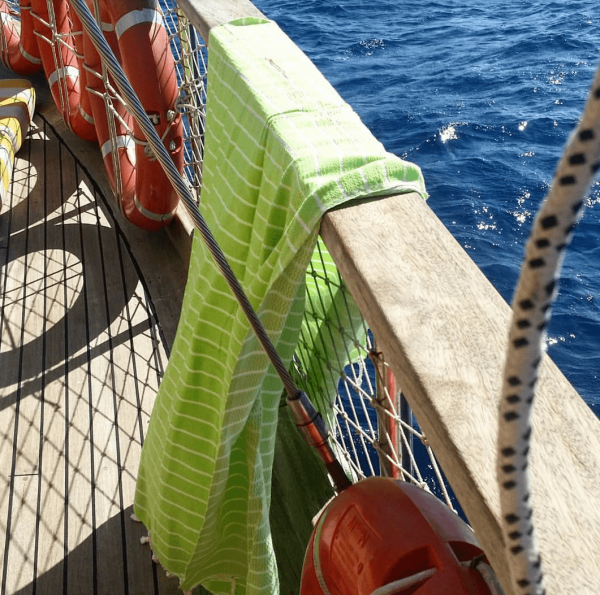 Finesse towels are absolutely fantastic for beach holidays, sailing, camping and for any other outdoor activities. You will find them brilliant for sports bags and swimming kits where space, volume and style matters. 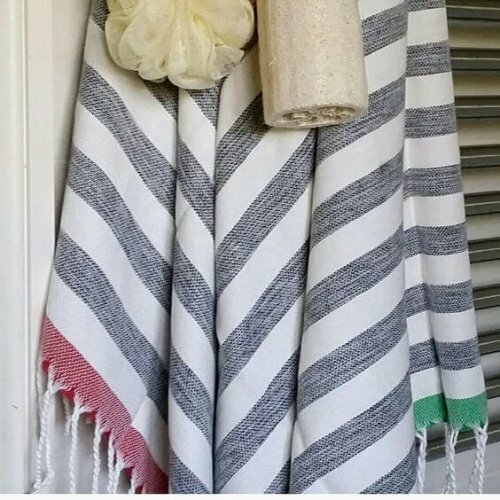 They are quick drying, easy to care for. If you have no time or facility for proper washing, just rinse it under the running water and leave it air dry. It will be nice and dry in no time for the next round. A unique gift for everyone and for every age. Finesse bamboo Turkish hammam towels are great for the sensitive skins of babies. Equally, they make a really well-thought gift for elderlies who would love to go the lighter version of everything they carry around. 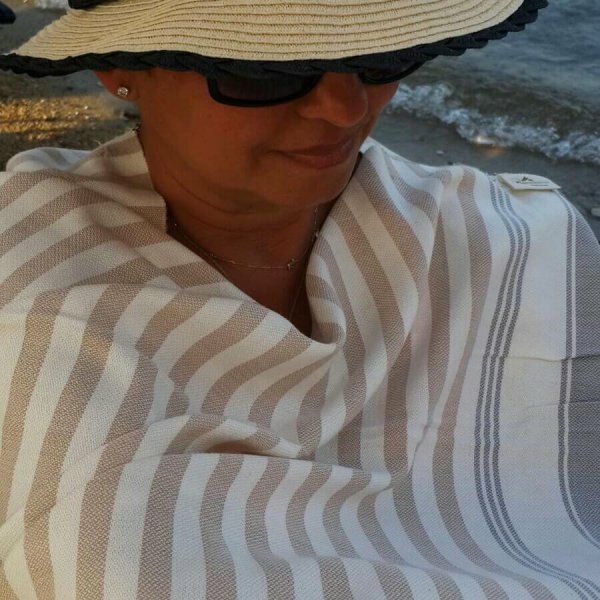 This is a lifestyle towel with a clear emphasis on practicality and comfort to keep up the fast pace of active life. Spoil yourself and the loved ones with the beautifully silky touch of cotton and bamboo blend and leave yourself hassle-free for maximum fun. 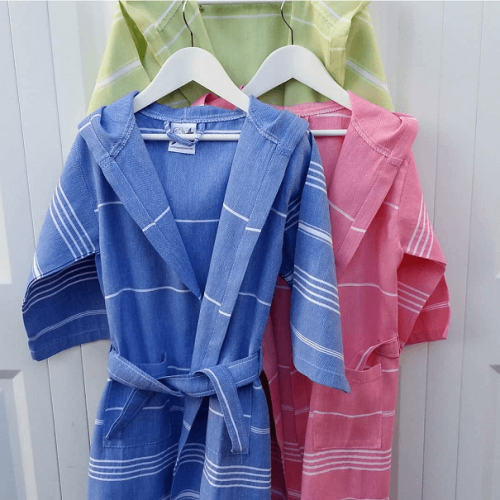 A quick link to Bamboo Towels and Robes is here for easy access. 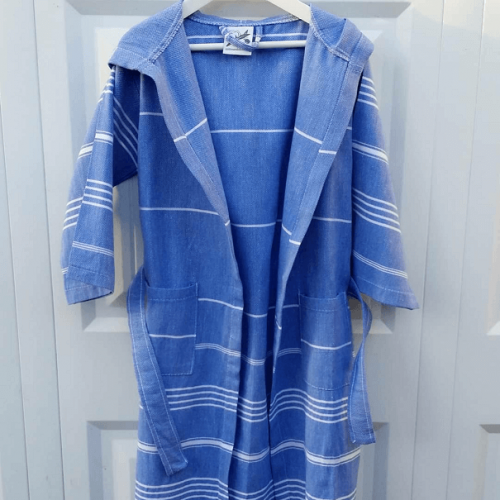 Beautifully soft, easy to pack, quick to dry….really super for holidays especially! 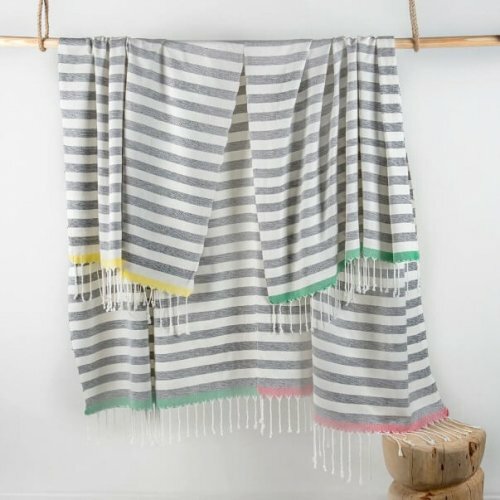 Bought 3 of these towels last summer – wish I had found them years ago! They absorb water off me so quickly and dry out ready to be used again in minutes. 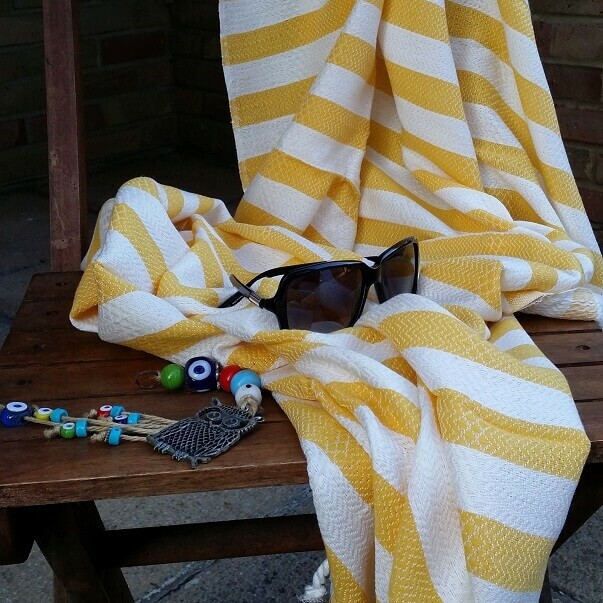 Ideal for use on the beach or poolside. Added bonus is that they take up next to no room in the suitcase.